In honor of Angela at Unity! You are not ALONE !! What a great group of people I work with! 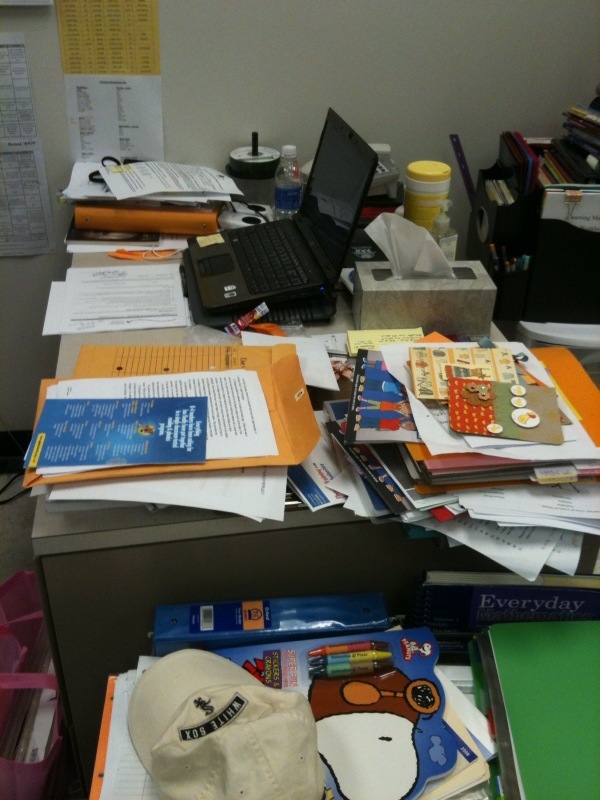 that is why it is an organized mess!! Angela you are NOT the only one! Last week Unity Celebrated their 2nd anniversary. There were tons of games and challenges. create a new project using a bird or tree image! I used my new Unity/Cosmo Cricket set, Garden Variety. I also used the Garden Variety paper. The flower is the Tim Holtz Sizzix die and the flowers are from Michael's. Challenge #3 - LOVE AT FIRST SIGHT! - use your first Unity set! My first set is Eco Chic... and here is what I created! colors were Orange, Green and Yellow - the twist CAS! 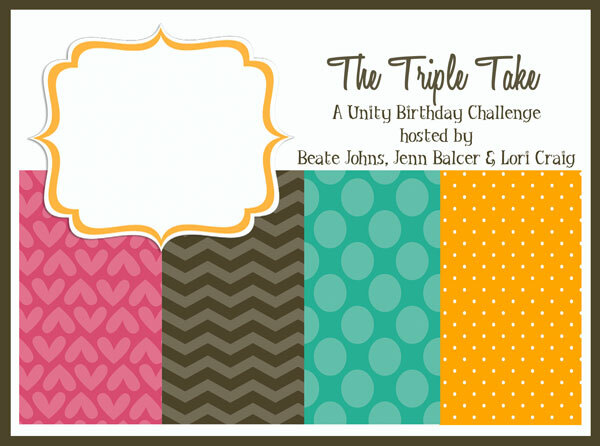 Challenge # 4 - The Triple Take Challenge! I used my April KOM and Cosmo Paper.. Which I am in LOVE with.. and a 1"x1" inchie. I also used my chalk inks and distress inks. My buttons are from my lot that consist of all different brands. Another Challenge was from Maren's blog! She is AMAZING!! I love her work! Make a card, layout or project inspired by something in your Paper Crafts publication. Since I am a subscriber to Paper Crafts magazine and have purchased a number of the special magazines I had no problem finding inspiration. Again I used my Unity/Cosmo Garden Variety stamps and I used the garden variety paper! I colored in the tomato with my copics and distressed the edges with some Tim Holtz inks. My ribbon is by Martha Stewart. Well that would be a WRAP!!! I hope you like my cards and I hope they win a thing or two, too!